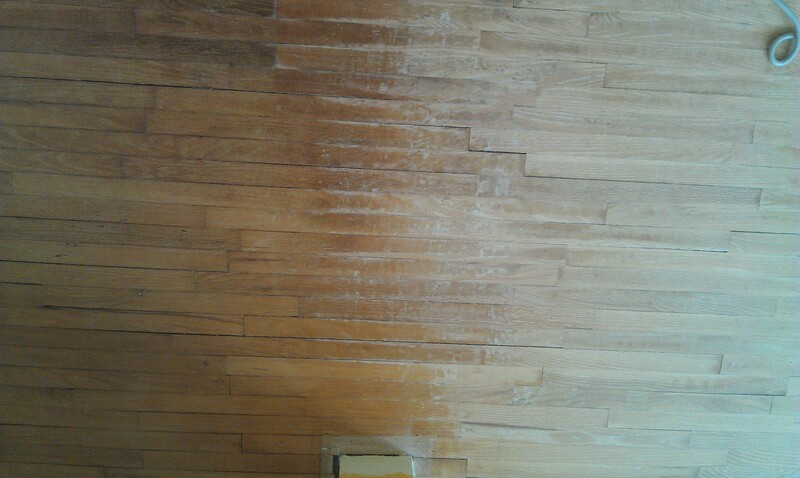 After removing all of the wax from the floors (See this link for more information), we were ready to sand out the previous stain and level the hardwood which has been sitting under a carpet for 40 years. We went to the local hardware store and rented a square buffer sander. Let me give you a piece of advice here…….these sanders don’t work very good. Read on for more info!! 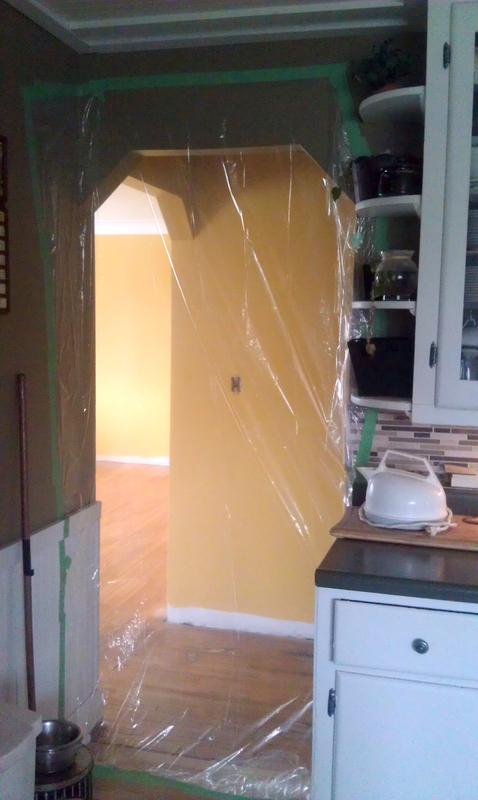 While Jack went to rent the sander, I prepped the house for the attack of the dust!! 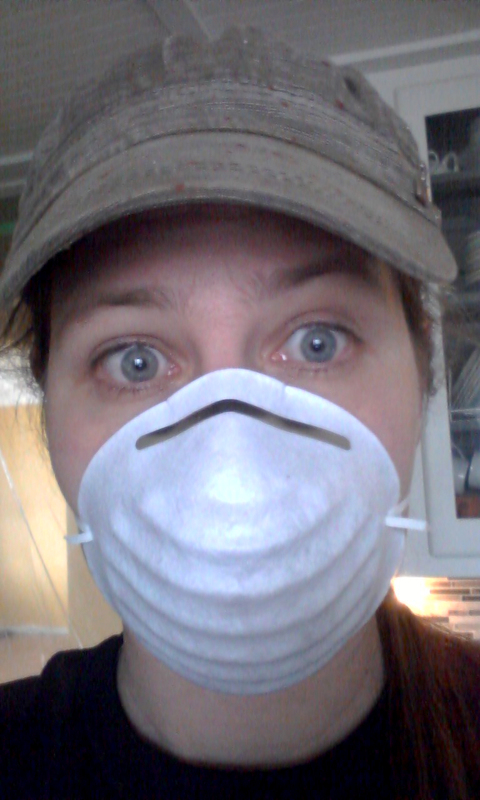 I tapped off all doorways and got out the very fashionable dust masks!!! Ain’t I pretty!! Jack started going over the floors numerous times and the colour coming off was exciting! 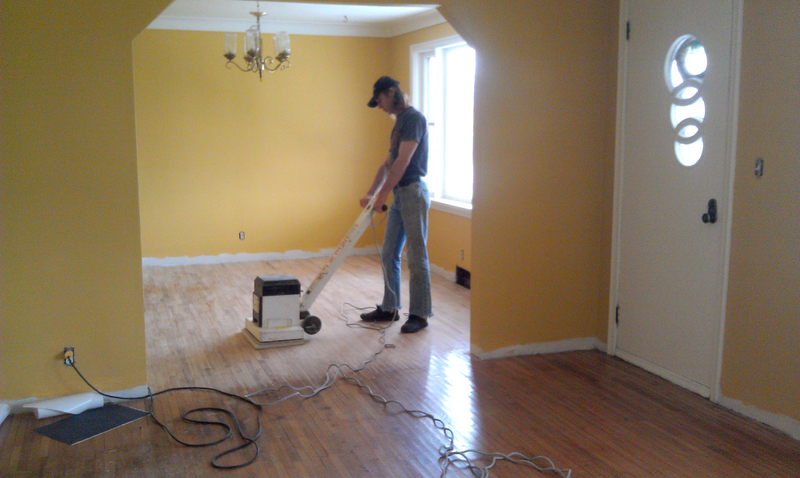 He kept making passes and I followed him everywhere with a vacuum to keep the dust down (which worked really well!). Here is a comparison picture. 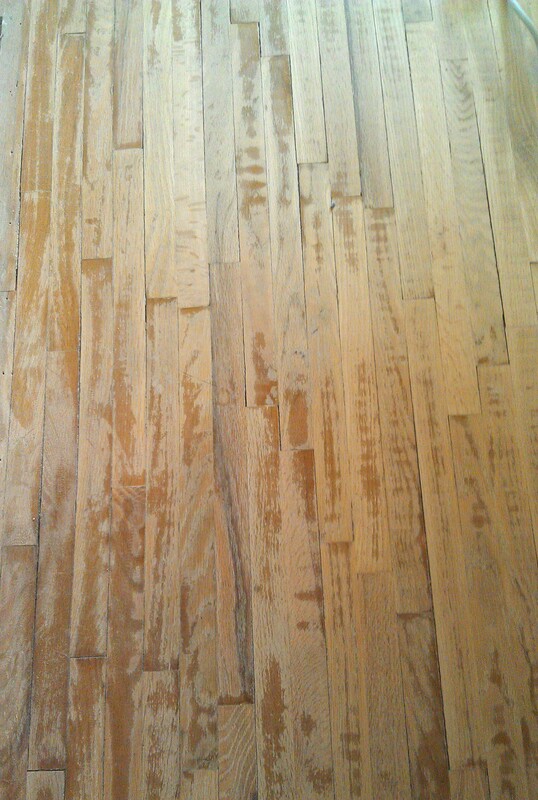 This is what our floors looked like after using the square buffer sander. We needed a new plan. This sanders cost us $100 with the paper and didn’t do us much good. We had to go bigger! I had read a lot of drum sanders (mainly that they can wreck your floor and they are hard to use and scary and expensive to rent) but it looked like that is what is was going to take. We couldn’t turn back now. 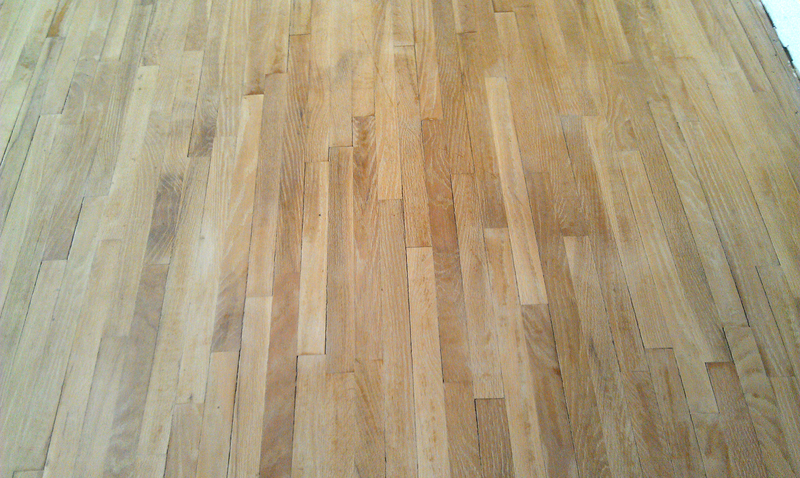 Read more on our floor refinishing adventure below!